I’ve always been an advocate of Opening Day as a national holiday. I’m probably in the minority at this point. 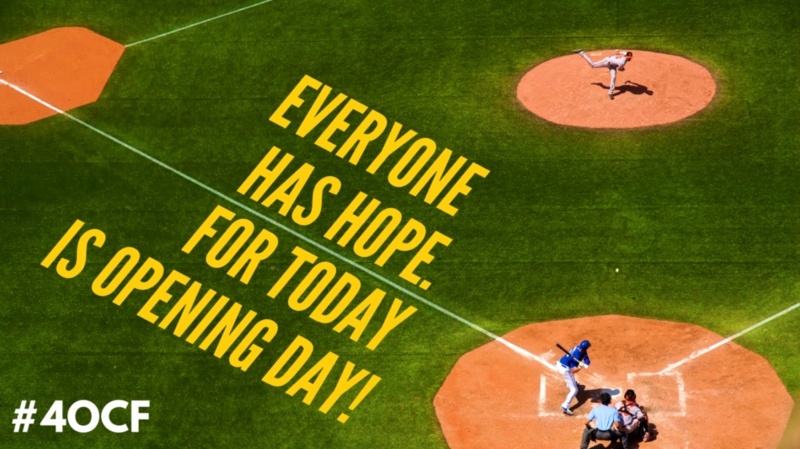 And it’s most important, because on Opening Day, everyone has HOPE. Every team and player gets a fresh start. Everyone has a chance to start anew. Just as it should be for our students each day. Enjoy the fresh start. Even if it’s not a national holiday, enjoy this Opening Day!